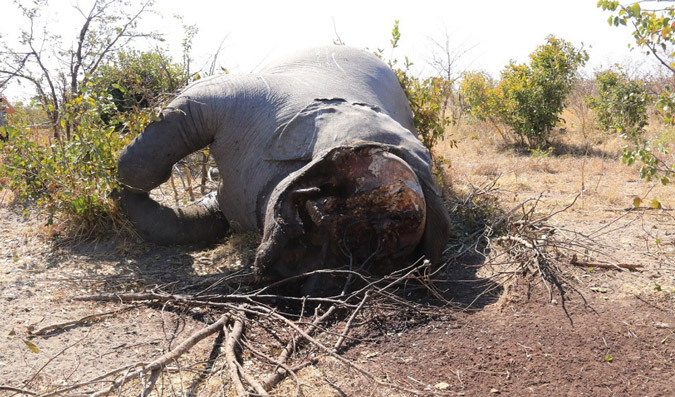 Fresh results (yesterday) from an ongoing elephant survey in northern Botswana reveal that a significant number of fresh carcasses have been found in a prime tourism concession operated by a prominent eco-tourism company. 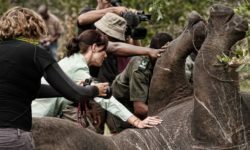 Previously it was thought that most poaching was happening in the northern border areas with Namibia and Zambia, but these recent results show that the poaching wave has now reached further south – into the heart of prime photographic tourism country. We are withholding exact locations, to permit investigations to proceed without hindrance. On the 5 July, Elephants Without Borders (EWB) and Botswana’s Department of Wildlife and National Parks started the 2018 wildlife aerial census of northern Botswana. 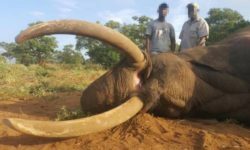 Within days they were finding large numbers of elephant carcasses. The lodges in these vast concessions are remote and exclusive, where clients don’t encounter vehicles from other lodges during game drives. 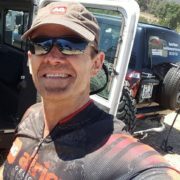 This low impact tourism model is extremely successful for the Botswana tourism industry, and has contributed to that country’s reputation for offering superb safaris. 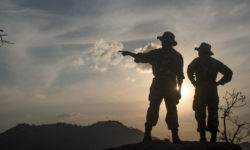 But perhaps the vast concessions also represent good hunting grounds for poachers, in that the risk of being seen or captured is arguably equally remote. 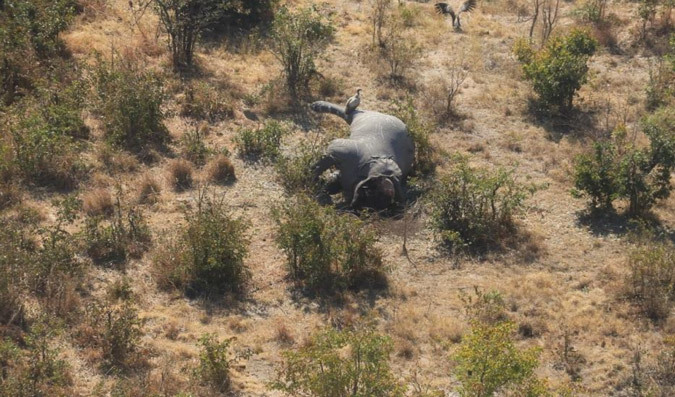 The Botswana parliament is currently considering lifting the ban on elephant hunting, after an MP claimed that human-elephant conflict is increasing because of the growing elephant population. 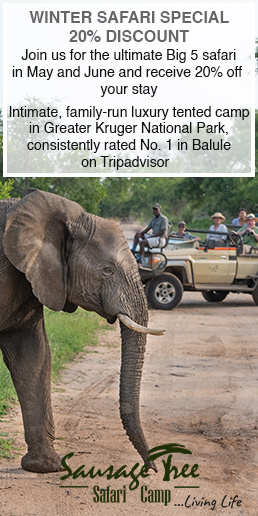 But Chase has questioned the factual accuracy of this claim – suggesting that the population is not growing, and that elephant movements have changed. He agrees that solutions must be found for human-elephant conflict, but insists that these solutions should be based on accurate information. I would imagine that he is fairly qualified to speak in this regard, as he pioneered and drove the largest African elephant census ever undertaken. 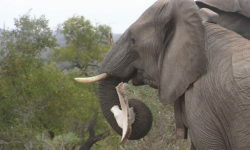 He advised that hunting will have a limited effect on solving human-elephant conflict. Regardless of the facts, Botswana does need to take into account the needs and perceptions of its people. That said, whatever decision they make in this regard will be criticised by the many lobby groups active in this space, each with their own views and agendas. 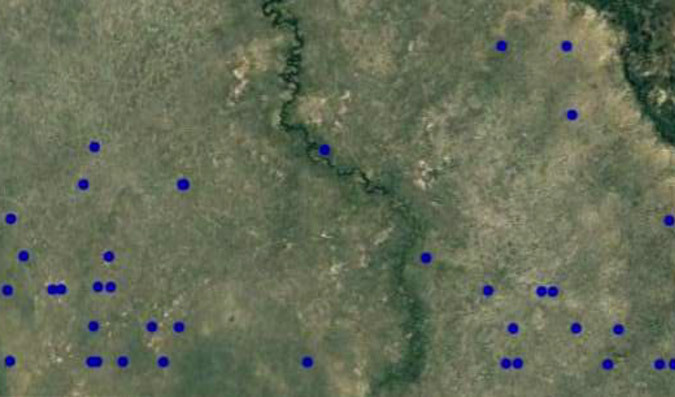 The results of the 2018 wildlife aerial census of northern Botswana will be known later this year, or early in 2019. The report will make for interesting reading. In the meantime, hopefully the Botswana government and tourism industry will gain traction in the war against this growing threat to their security.